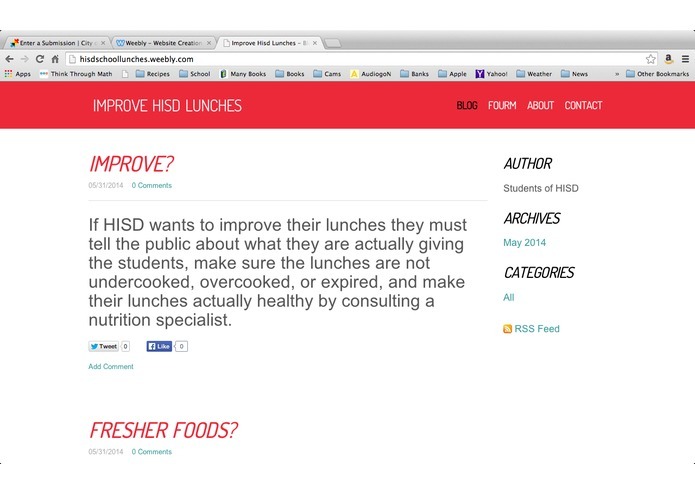 We made sites about expanding the Hackathon, bike ride planning , and improving HISD lunches. We created three websites to make Houston a cleaner, more mobile, and connected city. The first site the Houston Hackathon at http://houstonhackathon.weebly.com/blog/special-thanks-to-jeff-reich which was inspired by the Houston hackathon itself. The target user is the people of Houston who want to learn about the hackathon and the people at the Hackathon themselves. 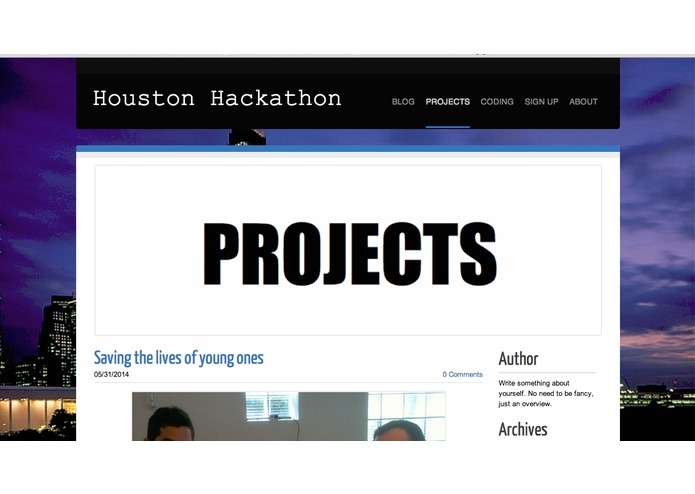 We are most proud of the project page which has many of the projects at the Houston hackathon which will improve society. The second page is about HISD lunches and how they could be improved. the website page is http://hisdschoollunches.weebly.com. It was inspired by the kids at our school. The target user is the kids at HISD. We are most proud of the easy to use forum page. 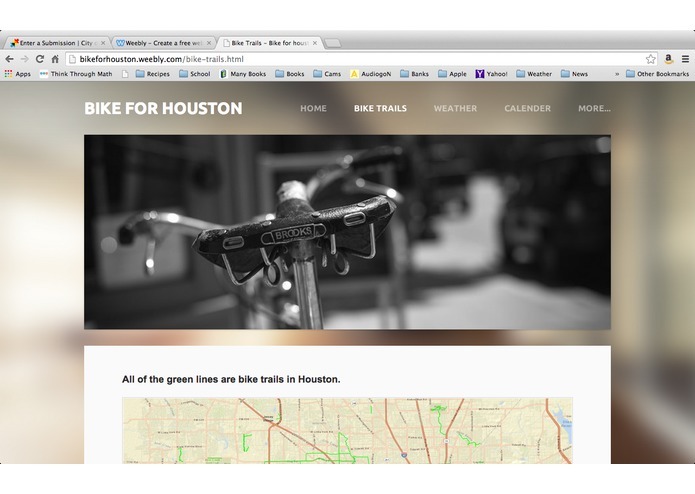 The third site is Bike For Houston at http://bikeforhouston.weebly.com. The website was inspired by my mother and being healthy. The target user is bike riders and people who want to give cycling a try. I am most proud of the map page which for all the green lines shows a bike trail.